"As we face these infinitely difficult problems, let us keep in mind that though we need the highest qualities of the intellect in order to work out proper schemes for their solution, yet we need a thousand times more, what counts for many, many times as much as intellect - we need character. "We need common sense, common honesty and resolute courage. 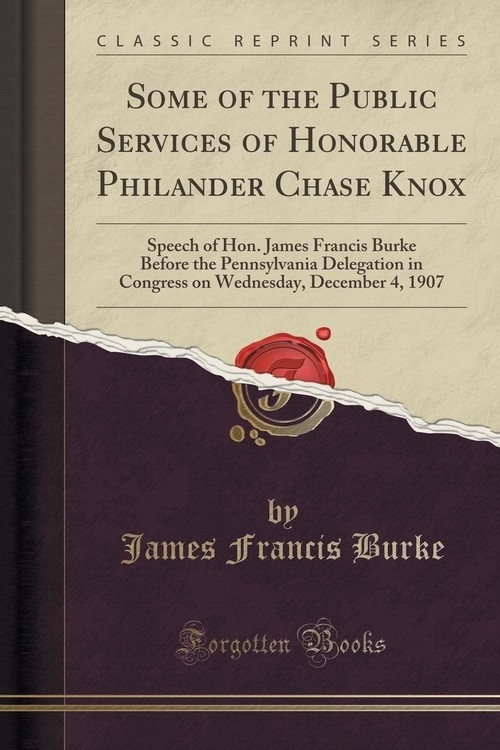 We need what Mr. Knox has shown: the character that will refuse to be hurried into any unwise or precipitate movement by any clamor, whether hysterical or demagogic, and on the other hand, the character that will refuse to be frightened out of a movement by any pressure, still less by any threat, express or implied." In the light of present these words seem to bear the very impress of inspiration.